Muscatine offers so many opportunities to live healthy! 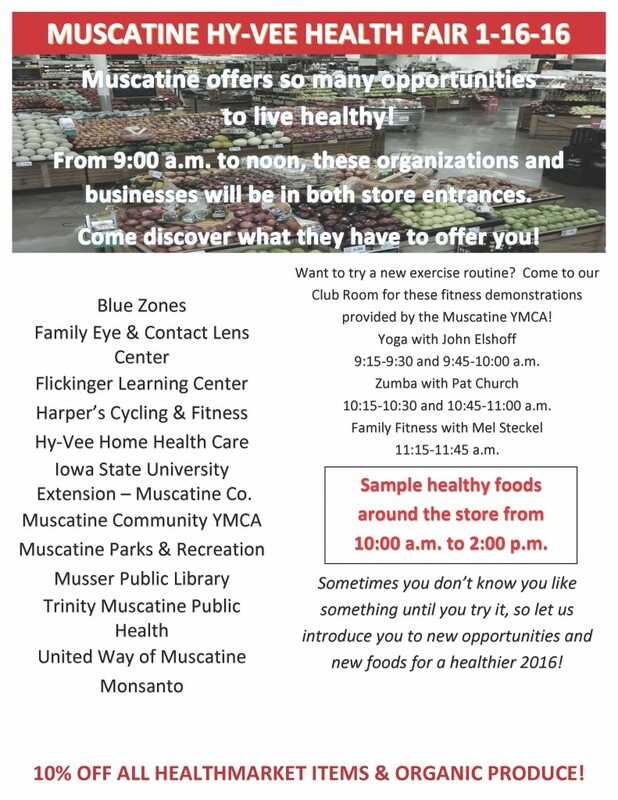 From 9:00 a.m. to noon, come to your Muscatine Hy-Vee and check out local organizations and businesses and what they have to offer you! Sample healthy foods around the store from 10:00 a.m. to 2:00 p.m. Want to try a new exercise routine? Come check out fitness demonstrations in our Club Room provided by the Muscatine YMCA!